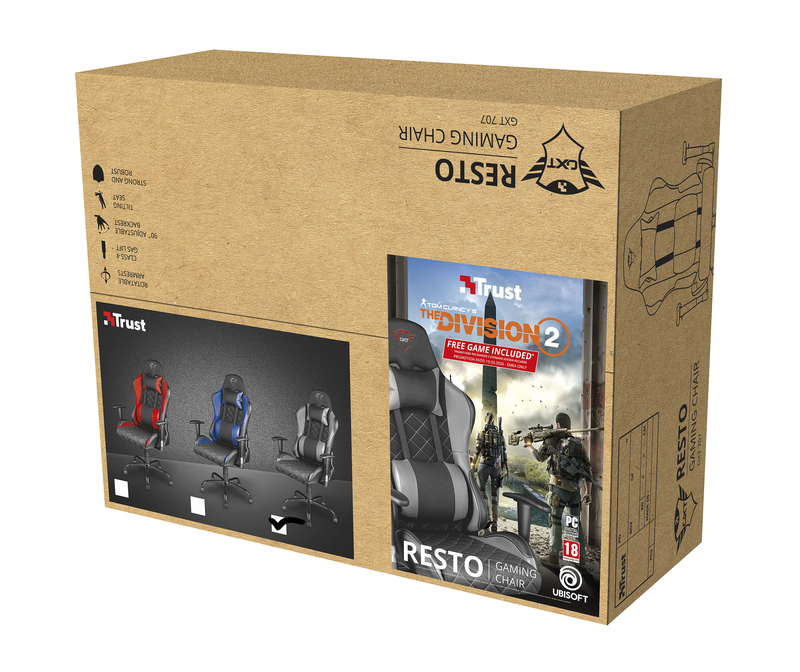 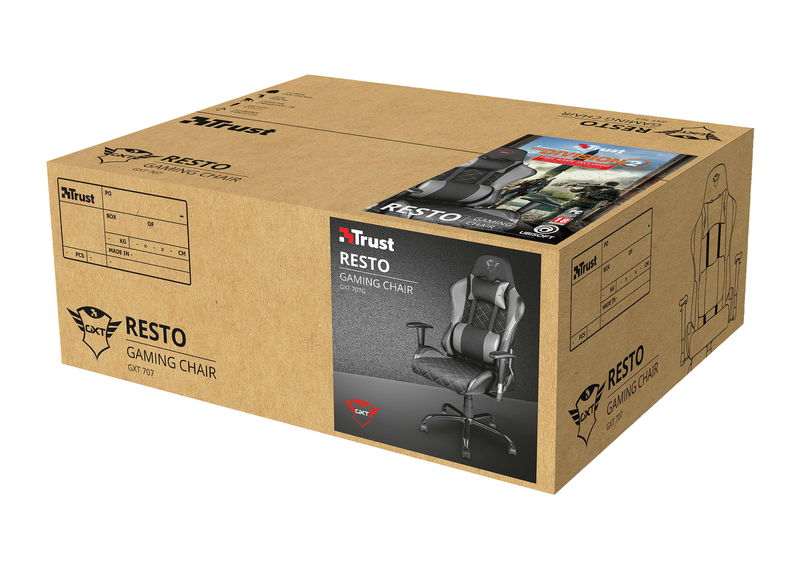 The Trust gaming chair is one everybody can enjoy. 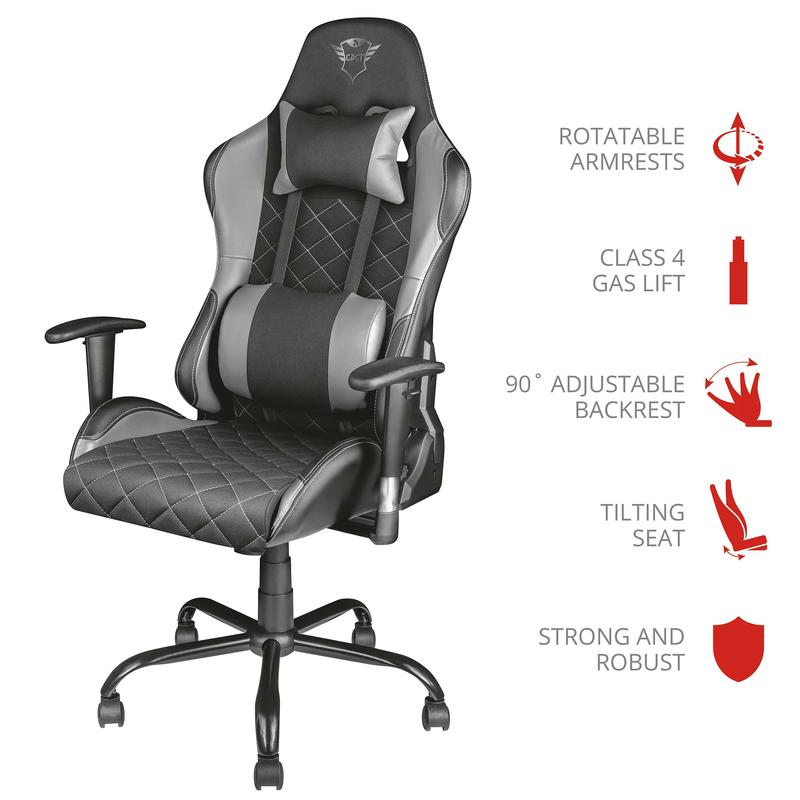 The robust chair is designed to handle a maximum weight of 150 kg and is recommended for any gamer between 160 and 190 centimetres tall. 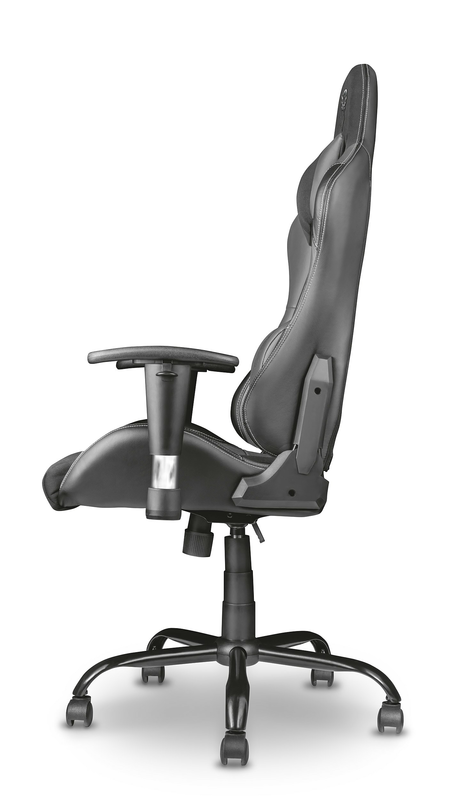 The 42 cm wide and 50 cm deep seat is large enough to ensure maximum support and comfort. 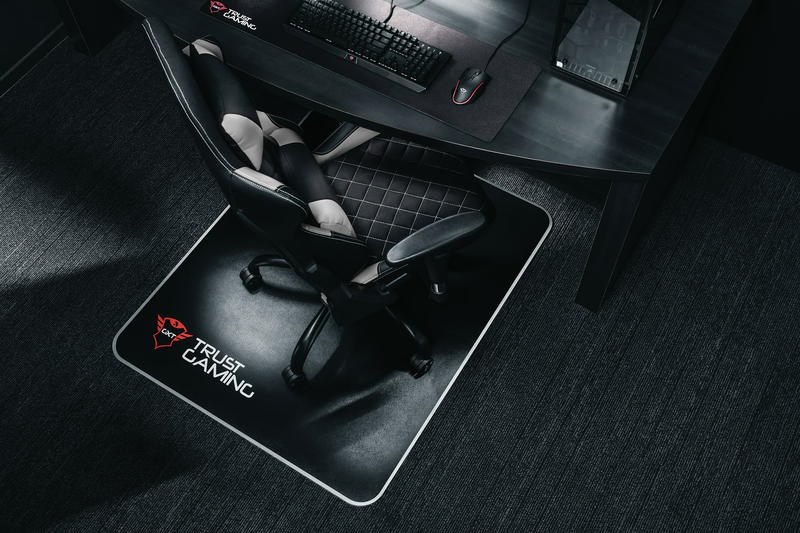 The striking design features the classic black and red Trust Gaming colours with a high quality embroidery of the logo. 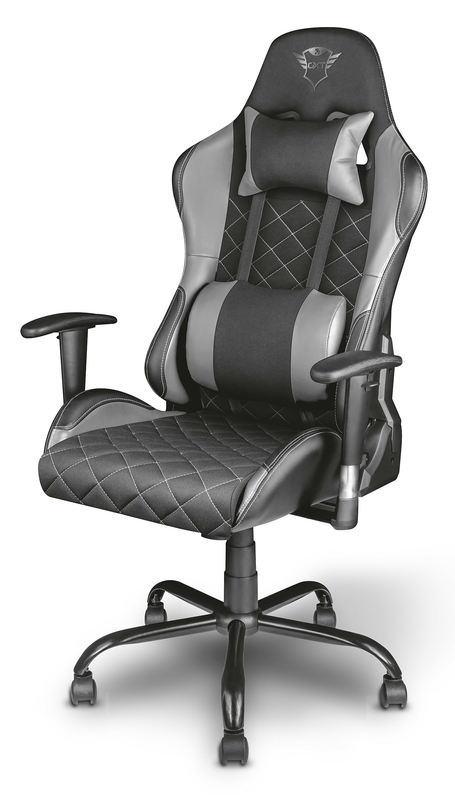 The premium fabrics ensure a soft and comfortable touch, preventing sweating and a sticky feeling. 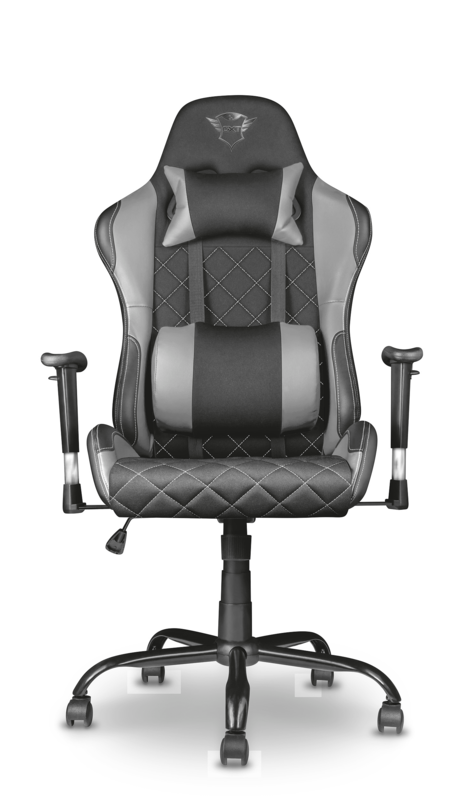 The durable and smooth rolling nylon wheels glide perfectly, allowing you to keep on rolling when you’re too comfortable to get up. 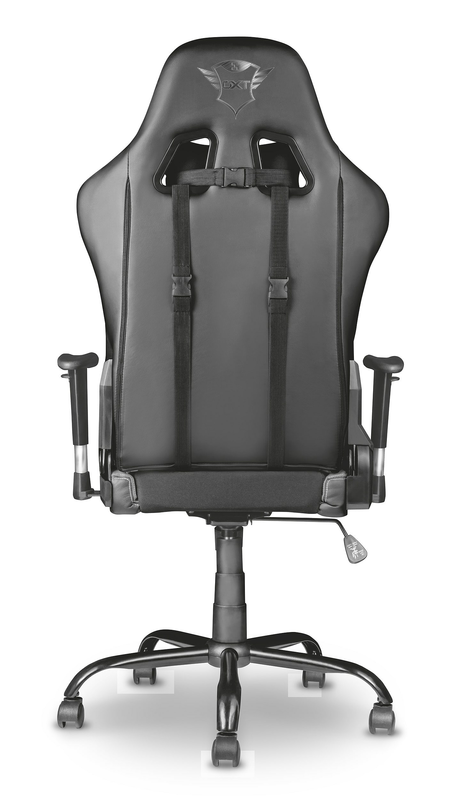 The 70 centimetres wide, robust 5 star metal base in combination with the durable metal frame inside the seat provide optimal stability and long lasting comfort.